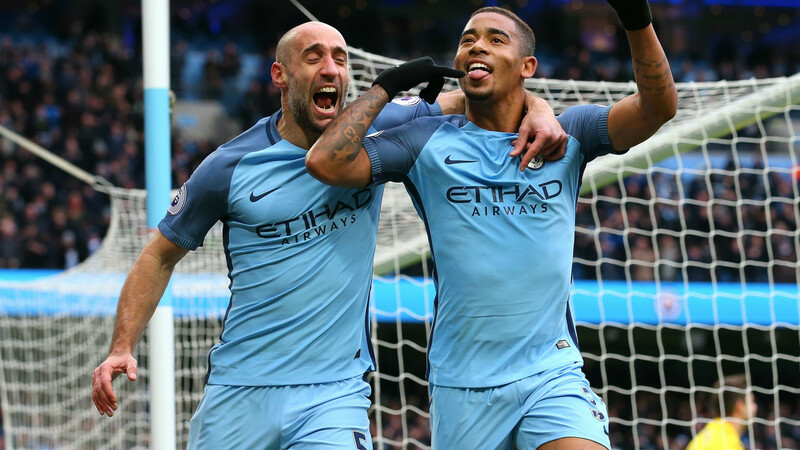 Manchester City will have the chance to keep their top-four bid on track by beating struggling Middlesbrough away from home on Sunday. Pep Guardiola's team failed to increase the gap between themselves and Manchester United in Thursday night's derby but retain a one-point advantage over their rivals and are only a point behind Liverpool with a game in hand. Boro's return to the top flight, however, looks set to be a brief one. The Teessiders are six points adrift of safety with four games to play in the 2016-17 campaign despite their win over bottom side Sunderland in midweek. In the UK, the match will not be available to watch live. In the US, the match will be available to watch live on television on NBC's Premier League Extra Time channel and by stream via NBC Sports Live. Brad Guzan will continue in goal for Middlesbrough as Victor Valdes battles a rib injury, while caretaker boss Steve Agnew has also all but ruled out Daniel Ayala (ankle) and Grant Leadbitter's (hamstring) chances of featuring. Antonio Barragan also missed the win over Sunderland, so Fabio is likely to slot in at right-back with Calum Chambers sliding across to the centre to replace Ayala. Claudio Bravo suffered what appeared to be a calf strain against United, so Willy Caballero will start in goal and Angus Gunn will back the Argentine up. John Stones and David Silva could return after muscle injuries that kept them out of Thursday's game, but Ilkay Gundogan remains sidelined. City are heavy 3/10 favourites to win away from home, according to Oddschecker, with Middlesbrough priced at 11/1 and the draw available at 5/1. Sergio Aguero is the 13/5 favourite to score first, with Gabriel Jesus rated at 7/2. Alvaro Negredo is the top choice for the hosts at 10/1. Pep Guardiola has complimented and flattered his players at every turn this season, declaring so many individual performances among the best he has ever seen that you would think Manchester City are the best team in Europe. His praise has been designed to boost morale and build loyalty, of course, but it was interesting - and revealing - to hear him speak bluntly about one of the shortcomings of the squad at his disposal this week. Specifically, Guardiola acknowledged that he simply did not have full-backs capable of providing the kind of flying attacking impetus he has enjoyed from the likes of Dani Alves and David Alaba at Barcelona and Bayern Munich. His are too old for that, and Jesus Navas is currently his first-choice right-back as a result. "[United] can play and have a lot of quality but they defend so compact and wait to punish you behind your full-back," Guardiola said. "We don't have full-backs to go up and down, up and down, because all of them are 33, 34 years old, so I adapt with the quality of players." The Catalan's supporters argue that he simply has not had the quality he has needed for his demanding style of play this season, and provided City make the right moves in the summer next year will be very different. There is evidence to support in that in the way Leroy Sane, Raheem Sterling and Gabriel Jesus - three young players of superlative ability - briefly combined to dazzling effect under Guardiola's tutelage before Jesus' injury. 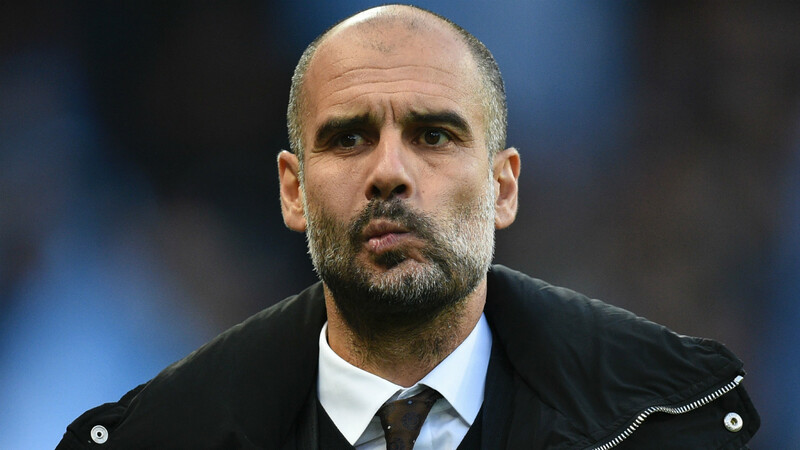 The circumstances inherited and glimpses of promise shown by this City side will buy Guardiola more time than he had at Barcelona or Bayern, but next season he will find that the pressure is dialed back up with a squad that will, presumably, be built much more in his image.